19 Duncan is a redevelopment of a five-storey heritage office building at Duncan and Adelaide streets in Toronto's Entertainment District. 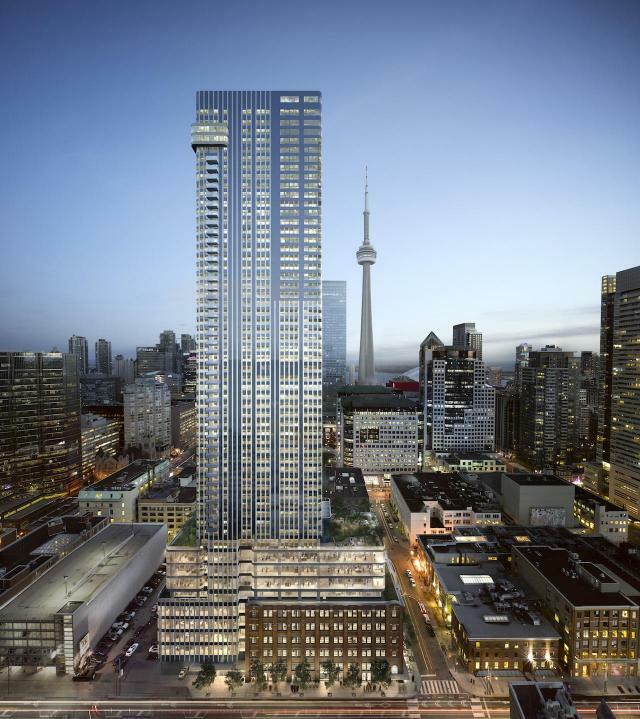 It will result in eight storeys of of office space above ground floor restaurant retail, with shared amenities on the 10th storey, and rental apartments on the 11th through 57th storeys. Residential amenities will also be found on the 57th and 58th storeys.The Hariri Pontarini Architects design is for Westbank Corp and Allied Properties REIT.